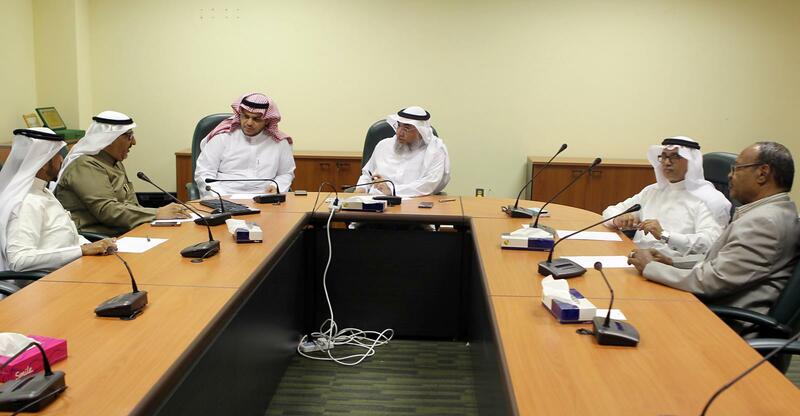 Dr. Adnan bin Noury Al-Maghamisy, Dean of the Social Sciences College at UQU, considered the aspects of cooperation with the General Supervisor of the Union of OIC News Agencies Training Center (UNA), Mr. Fahd bin Ahmad Al-Ghamdy, and his Technical Affairs assistant, Mr. Ahmad Al-Zahrany. 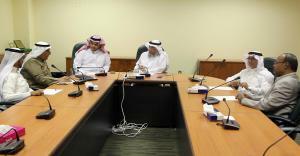 This was in the presence of the Head of the Mass Communication Department in the College of Social Sciences, Dr. Salim bin Aly Orijah, and members of the college academic staff: Dr. Muhammad Al-Zahrany, Dr. Khalid Hajar, and Dr. Wadi` Al-Az`azy, in the college meeting hall at Al-Abidiyyah campus. 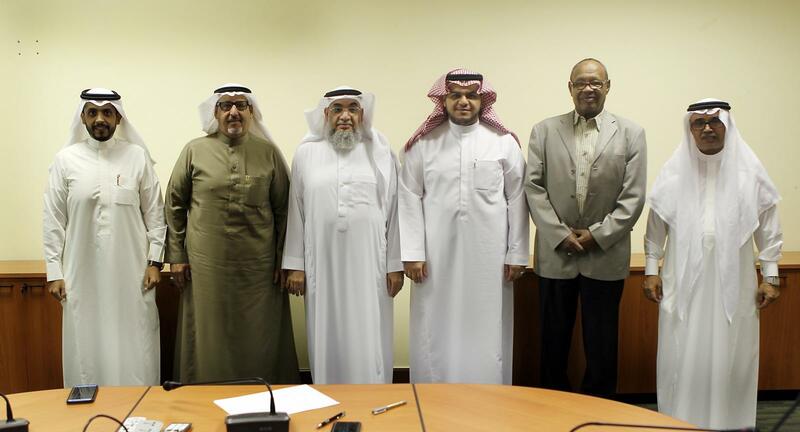 Dr. Adnan bin Noury Al-Maghamisy, Dean of the Social Sciences College at UQU, welcomed the General Supervisor of the Union of OIC News Agencies Training Center (UNA), Mr. Fahd bin Ahmad Al-Ghamdy, and the delegation that accompanied him. He expressed his appreciation for the support of the wise leadership of the educational process at the college, commending the aid and support of His Excellency Dr. Abdullah bin Omar Bafail, the UQU President, towards the college activities and programs that are related to mass communication, social, translation and geographical aspects. He mentioned that this meeting was part of the strategic plan that the college is working on. It also works in harmony with the college programs and activities, which are in line with the Saudi Vision 2030 with regard to serving the society through highly qualified national cadres, whose academic qualifications match the labor market. Next, Mr. Fahd bin Ahmad Al-Ghamdy, the General Supervisor of the Union of OIC News Agencies Training Center (UNA), praised the outcomes of the Social Sciences College, which are in line with the UNA activities. He expressed his wish that the UQU, represented in the Social Sciences College, would enter into a cooperation partnership with the UNA in terms of consultation and training for the sake of exchanging experiences.